In June 2014, Code Spaces, a successful multi-million dollar company with customers like Oracle, Macy's, and FedEx, shut down permanently after a catastrophic data loss. The fix that could have prevented the failure would have taken less than an hour to implement. The same month, one of my clients sped up their deployment process by 60X and gained many more hours per week to focus on growing their business. If you care about the protection and growth of your business, the Systems Speedup program may be for you. 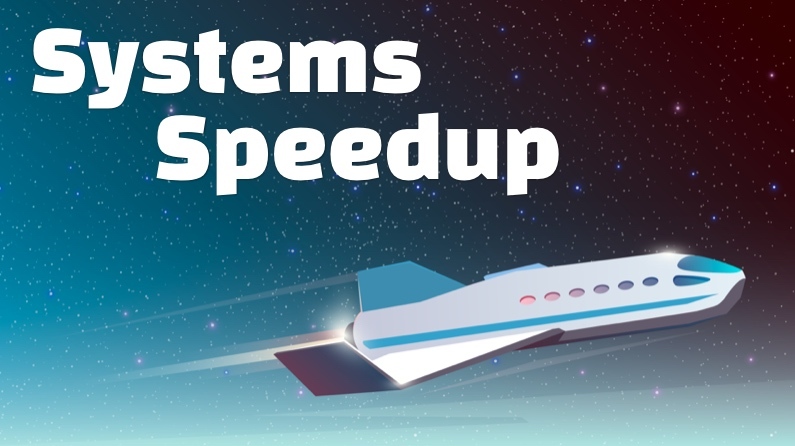 Systems Speedup is a program to secure, simplify, and automate your systems so they are as reliable, scalable, and low-maintenance as possible. We examine your systems and determine the points of highest value to address first. Then we actively develop your systems to implement those changes. After a period of active development, we move into a lower cost support/maintenance level. Hiring a full-time systems engineer is much higher risk and far more expensive, especially in the long-term. With this approach, you can quickly level-up your systems with expert help and avoid the risk of using a less-experienced engineer that doesn't have a proven track record of delivering robust systems. Web Ops are a solved problem! The fundamentals of Web Ops are largely unchanged from 20 years ago. In fact things have only gotten much easier and simpler. Oddly, you get the opposite impression if you listen to the marketing hype coming from the Ops community. There are those who benefit from keeping your Ops dependent on their solutions — consultants, software vendors, infrastructure vendors, etc. Those guys may be acting in good faith, but they have a huge disincentive in you having simpler systems. In nearly every case it means less revenue for them. One of the first things we'll do when we work together is go through my Systems for Startups training program. In this, we cover the First Principles of systems so it's clear exactly what's needed and what's not in your systems. We also cover many strategies for keeping your systems lean and fast as you scale. The first priority is protecting your business by removing risks (security breaches, service outages, data loss, etc). The second priority is optimizing your systems for business growth and performance (simplifying, automating, preparing for scaling, etc). There's no point in optimizing systems for high performance if the business is exposed to catastrophic risks, so we fix those issues first. Once your systems are protected to an acceptable level, then we move on to improving your systems so you can reach your business goals faster. 1. Audit: We meet online to review your systems. We start with the most critical parts of your systems and determine the highest priority tasks that need to happen to protect/optimize them for that period. 2. Implement: I work with your engineers to implement the changes. I provide any training needed as we do the implementation to ensure that your engineers fully understand the updated systems. You don't need to worry about feeling embarrassed about your current systems when we work together. Your systems have gotten your business to where it is now. That's awesome just in itself. We don't worry about the past - our only aim is to evolve your systems to be even better at achieving your business goals. Which risks to your business are you not aware of? In the tech news, we regularly hear about huge data breaches and long costly outages. And we only hear about the most prominent incidents - there are thousands of similar failures that occur at smaller companies that you never hear about. Except for some of the most extreme DDOS attacks, most of these incidents are preventable. Often it was simple negligence that left these companies vulnerable. While it's not possible to eliminate 100% of risk, you can still protect your business against the most serious vulnerabilities and keep your company in a pretty safe place. In the many systems audits I've done, I've rarely encountered a business without multiple serious vulnerabilities. Fortunately, the fixes are usually simple and relatively cheap - they just need to be implemented. The approach is simple, but often neglected because it can be tedious to do. Fortunately, we focus on automating everything we can so it only needs to be done once. It's far better to implement these protections now than to later have to write an embarrassing email to your customers about how your company neglected the basics and lost their data. No security is perfect. But there's a big difference between using a bank vault to protect your valuables and leaving them in a paper bag in the middle of the street. Backing up essential data and security credentials is relatively simple and cheap, yet is one of the most neglected activities. Naturally, backups must also be verified regularly to ensure they can be restored when needed. The systems supporting your business are made up of many critical parts. Do you know immediately if one goes down? Even better, do you have automated processes that can take corrective action if a key system fails? Are you spending 5-50X more than you should? Tech companies often pay drastically different amounts for the exact same results. One of my medium-size clients was able to save over $225,000 per month after fixing some critical issues with their systems. Not only were they saving a ton of money, but their systems were also faster, more stable, and more secure. Any unnecessary money and time you're spending on your systems is wasted. Think of what you could do with that same money and time if it were instead directed at growing your actual business. The most technically impressive systems in the world are worse than useless if they don't support your business goals. Every hour you save on managing your systems can be put towards growing your business. Simple systems are, by nature, systems that can be quickly understood, easily secured, and scaled up fast. 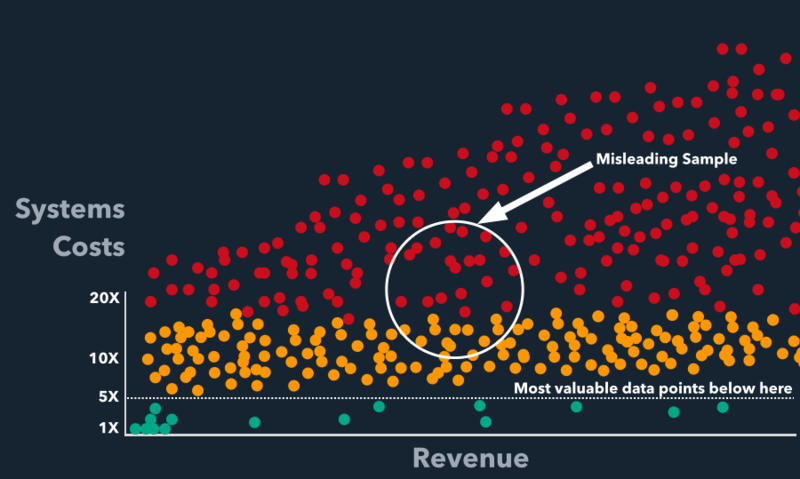 Complexity is often a money pit that leads to a hell of slowness, bugs, and vulnerabilities. Eventually more complexity is required as your customer base grows, but we'll manage it carefully and avoid it for as long as we can. It would be a huge mistake for a restaurant to focus their time and money innovating on their plumbing. Instead, the best restaurants install simple standard plumbing that is stable and requires little intervention. That way they can spend their time and money on what really matters - the actual restaurant experience (food, service, decor, etc)! It's the same for web companies and their systems. Use mature, well-documented, well-supported tools. That leads you to systems that just work and allow you to focus on your actual business goals. 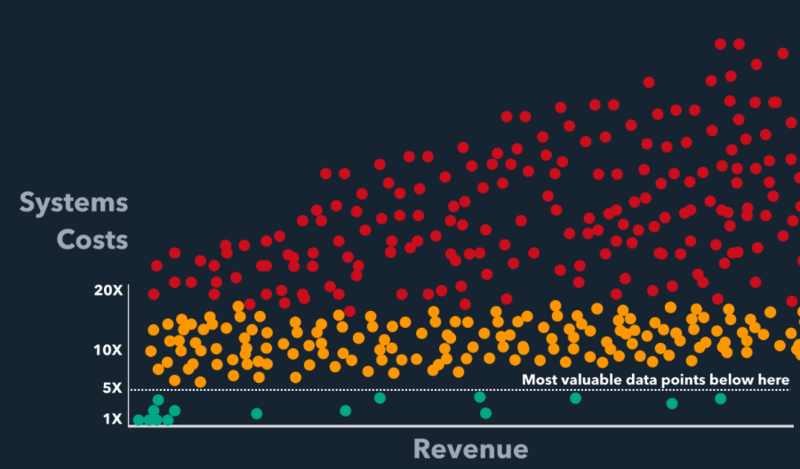 The companies that have cheap, simple, robust systems have a huge advantage over their competitors. While others are spending 5-50X more than you and moving 5-50X slower, you'll be running circles around them. In Systems Speedup, we meet online to determine the greatest risks to your systems and the greatest opportunities for improvement. Then we make an implementation plan for the highest priority items. This ongoing cycle of improvement ensures that your systems never fall into neglect and peril. Those last 2 points are particularly important. There's a ton of terrible systems advice out there. Often it is well meaning and supported by elaborate justifications, but ultimately it's for the benefit of someone else and NOT your business. I've seen too many companies struggle or die due to engineers neglecting the basics for their systems in order to chase shiny new tools that end up draining precious time and money. We avoid all that sillyness. Systems Speedup is a fixed cost program focused on one thing only: helping your business succeed. For an active development engagement, we work together on your systems in half-day blocks (morning or afternoon) Monday-Thursday for U.S. timezones. Less than the cost of a full-time engineer — and an especially good deal since we downgrade the engagement to a cheaper maintenance/support level once we finish active development. The exact ROI depends on your company's situation, but nearly all my clients are able to get at least a 5X return on investment within a year. If you don't feel you're getting the level of value you expect within the first 2 weeks of the engagement, I'll give you a 100% refund no questions asked. There's no long-term contract and no commitment. Use Systems Speedup for as long as you need it and cancel when you're done. We work towards you being independent of me. Some consultants will set you up with complex high-maintenance solutions that will require you to "need them" forever. We always work towards the simplest, lowest-maintenance solutions. We'll focus on documentation and training along the way so that you need me less over time, not more. If you care deeply about the success of your business, don't risk poor systems holding it back. Try Systems Speedup and even if you only do it for a short time, it will get your systems growing in the right direction. This program is limited to a maximum of 1 customer at a time. To check availability, please email me at matt@hvops.com.